It’s that time of year again! Anyone else feel like their house needs a serious deep clean? It’s time to open the doors and windows, let some fresh air in and start spring on a clean note! I don’t know about you, but when it comes to cleaning, I need all the motivation I can get. I always start out with good intentions, but let’s be honest, I don’t always end the way I had hoped! 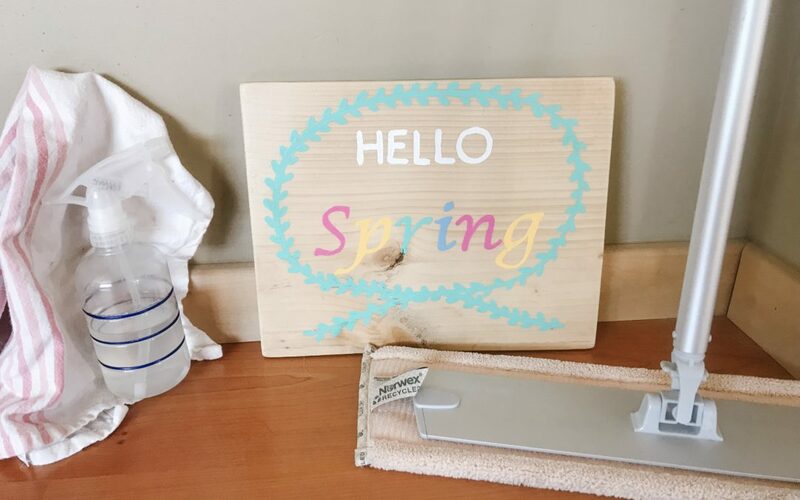 Lists are one thing that do really help me stay focused and actually get things done so I created a 30 Day Spring Cleaning Challenge printable to make sure I actually follow through with all the cleaning that I have intended! Having a printed copy on the fridge makes it so much easier to check off what’s done and see what needs to be done. This way my husband can also see too! #wishfulthinking I also love to see my progress along the way! I mean, who doesn’t love to check things off their lists? Are you the type of person who adds something to your list, even if it’s already done, just to check it off? Yeah, me too, haha! April is a great month to start this challenge, because there are 30 days in the month, but you can start it anytime that works for you. Use it as a guideline and complete tasks on days that work best for you. It you miss a day, keep going! It’s ok if it takes you longer than 30 days, the important thing is progress! I also realize there are things on here that maybe wouldn’t qualify as “deep cleaning” but I don’t want to get behind on my regular cleaning requirements for the month, so I’ve included them anyways! Enter your email to get your FREE Printable List! Help a gal out and save this to your Pinterest! Just hover over the top left corner and click on the Pinterest icon! It helps to share this blog so others can see and it’s much appreciated! This post is NOT sponsored, but does contain affiliate links. If you click a link, Sew Bright Creations may make a small commission which helps to keep this blog going. Your support is greatly appreciated. The opinions are of Sew Bright Creations’. Sign up for Sew Bright Email & Get 15% off Sew Bright's Etsy Shop!